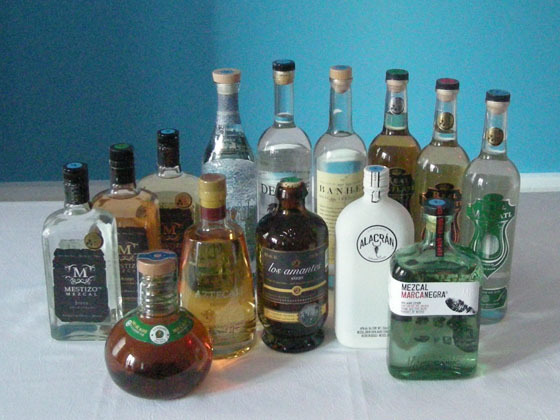 The Fifty Best held a “blind” tasting of 14 mezcals with 17 pre-qualified judges. 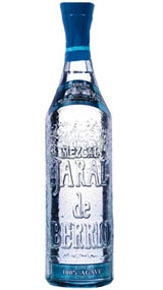 Jovens, Reposados and Añejos were judged separately in three individual categories. Strict tasting rules were applied. The order of service was established beforehand by lottery. 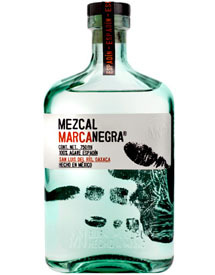 Each of the mezcals were poured into fresh glasses from new sealed bottles, and served at slightly above room temperature. Only ice water, neutral unflavored crackers and chips were available to cleanse the palate. The tasting notes which follow are summaries of the judging panels’ opinions. 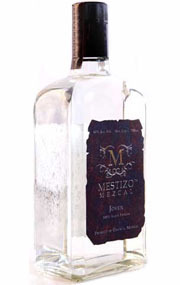 The region of origin in Mexico and agave species are identified for each mezcal. 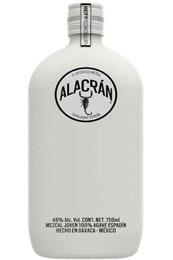 Nose: Tropical fruit, banana, vanilla, butter, perfumed, floral, tropical flowers, hibiscus, sweet herbs, nutmeg, coffee, smoky. Palate: Honey, dulcet tones, cane sugar, white toffee, nougat, creamy, caramel, herbal, spearmint, pepper, peppercorns, smooth, silky, light smoke, complex, well-balanced, silky, very nice, a pleasure. Finish: Cocoa, incredibly smooth, expansive, long. Nose:Banana, sweet berries, dried fruit, cinnamon, butter, cream, almost floral, briny, earthy, woody, lightly smoky. 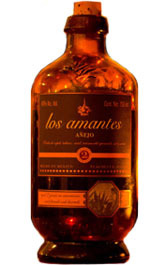 Palate: Honey, hints of caramelized sugar, caramel, vanilla, creamy, sweet cream, cinnamon, mint, agave, pepper. Finish: Oaky, toast, honey, licorice, peppery, long. 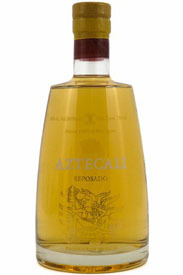 Nose: Light cinnamon, honey, caramel, butterscotch hard candy, ripe banana peel, citrus, herbal, green vegetables, agave. Palate: Praline, butter, caramel, riesling-like, smoky cedar, vegetal, light pepper, leather, tobacco, new wood, savory, ultra-smooth. Finish: Clean, fresh, smooth, light, vanilla, elegant, long. Nose: Fresh cut grass, plantain, mint, pepper, vegetative, lime, berries, faint vanilla, butterscotch, caramelized smoke. Palate: Roasted sweet red bell pepper, hot pepper, green apple, herbal, anise, white flour, cream, floral, deep charcoal, rich wood smoke. Finish: Peppery, tobacco, wood, soft, elegant, sweet, long. Nose: Cafe au lait, cream, toffee, apples, pear, minty, almost pine, toasty. Palate: Creamy, butternut, chocolate, dried fruit, fennel, spice, woody, rich, a pleasure. Finish: Creamy, nougat, caramel, spice, grassy, dry, long. Nose: Tropical fruits, sweet banana, dried fruit, vanilla, butter, tree bark, roasted earth. Palate: Dried herbs, sandalwood, anise, honey, praline, pepper, grassy, oak, very smoky, smooth. 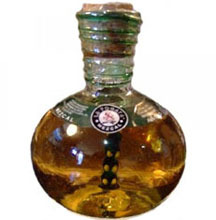 Finish: Mellow, creamy vanilla, lavender, peaty scotch, smoke, builds up to late spice. Nose: Vanilla, butterscotch, cola, spearmint, herbaceous, nutty, mushrooms, peppery, crisp, pleasant smoke. Palate: Lemon, papaya, dates, anise, vegetal, mint, hot pepper, grassy undertones, honey, butter, earthy, wood, smoky, complex, rich. Finish: Smoky, grassy, gentle spice, moderately sweet, long. Nose: Sweet cream, butter, butternut, buckwheat honey, nougat, fig, cola, slightly toasty, tobacco smoke. Palate: Fig, nougat, praline, vanilla, butter, light coffee notes, hazelnut, straw, herbs, pepper, smooth, balanced, delicious. Finish: Cherry almond, vanilla, nutty, hints of wood, crisp, long. Nose: Subtle lime, roasted pineapple, faint caramel, butterscotch, mineral, vegetative, bark, smoky. Palate: Smoked tropical fruit, honey, dates, pepper, moss, Port-like, Madeira barrel, woody, smoke, tobacco. Finish: Smooth, honey, starfruit, spicy, wood barrel. Nose: Vanilla, butter, wood sugars, cherry, earthy, mushroom, light mineral, refined. 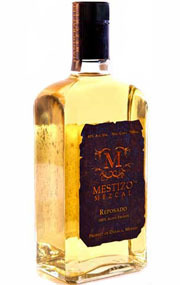 Palate: Caramel, honey, brine, hot pepper, herbal, woodsy, earthy, agave, sweet, scotch-like, well-balanced. Finish: Light spice, toast, smooth, rich, powerful, long. Nose: Caramel, honey, butter, floral, jasmine, agave, smoky. Palate: Vanilla, caramel, honey, sandalwood, floral, agave, pepper, briny, charred earth, impeccable. Finish: Very smooth, sandalwood, caramel, spicy, smoke, short, awesome. Nose: Butter, honeysuckle, vanilla, subtle cola, grass, herbal, agave. Palate: Tarragon, peppercorn, hot pepper, honey, butter, caramel, herbal, earthy, charred oak, balanced. Finish: Honey, jalapeño pepper, faint wood, smooth, complex, long. Palate: Creamy vanilla, caramel, touch of cream, dried fruit, dates, soft eucalyptus, explosion of herbs, pink peppercorns, spice, hot pepper, smoked wood, elegante, magnifico. Finish: Touch of wood, cedar, honey, smooth, long. Nose: Cinnamon, caramel, bell pepper, subtle tobacco, new tobacco leaf, faint oak, exceptionally clean. 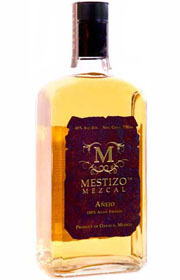 Palate: Sweet spice, cinnamon, mint, caramel, fruity, dried fruit, smoked plum wine, roasted peppers, agave, tree bark, wheat. Finish: Roasted peppers, dates, sugarcane, long.